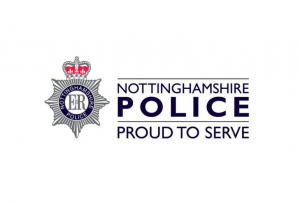 Notts Police were the first force to introduce a menopause policy. After our Menopause in the Workplace conference in 2017, delegates said they’d like to know what they did and how they did it. So here’s their case study. In January 2017 Nottinghamshire Police formally published a policy on managing the menopause in the workplace. At the same time, we also published guidance and advice for line managers. Why did we introduce a menopause policy? 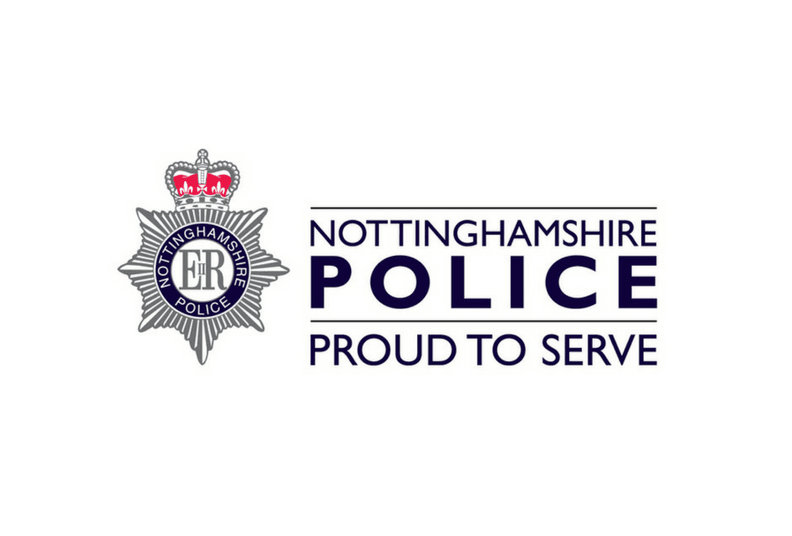 The menopause was something that the Notts Police women’s support network (NEWS) knew was an issue, one it really should be looking at, but there was also a nervousness about raising the issue and highlighting some of the symptoms women were experiencing. Nobody wanted female colleagues to feel that they would be viewed as less capable of doing their job effectively. The issue was getting closer to the top of the ‘to-do’ list, by many parts of the organisation. The launch of The Gender Agenda 3 report in October 2014 focused our mind on the issues women face within the workplace. Although the report discussed many issues – some of which also impacted on male colleagues – it made specific reference to some issues which only impacted upon female colleagues. As a consequence, in March 2015 The Equality, Diversity & Inclusion Team launched the first online noticeboard for all colleagues (with the support of the Command Team). The noticeboard sought the views of colleagues on: flexible working; part-time working; maternity, adoption and paternity; caring for elderly relatives or parents; and the menopause. Colleagues were asked to give both good and bad experiences, and where possible, to give potential solutions or good practices for the issues raised in the Gender Agenda 3 Report. The primary focus was on flexible and part-time working. However, when we decided to feedback to colleagues at our force Gender Agenda event, we made the menopause a key element and invited an expert to give a key note address, which gave legitimacy and credibility to the experience of our female colleagues. There had only been six comments on the menopause during the two-month online noticeboard but the event and recommendations from Gender Agenda 3 were the initial catalyst to do more. The National Menopause Action Group (MAG) was formed in 2013. Chaired by Chief Constable Dee Collins of West Yorkshire Police, it is aimed primarily at police forces across the country. Whenever possible a representative from NEWS or the Equality, Diversity & Inclusion Team would attend. Although attending a national meeting was positive and informative, we needed something or someone to kickstart the change within Nottinghamshire Police. That came in the form of a particular female officer, Detective Constable Keeley Mansell, who was experiencing severe symptoms and was struggling to get the wider support she needed within the Force. A small Menopause Working Group (MWG) was formed. NEWS, the Equality, Diversity & Inclusion Team and, most importantly, a range of colleagues with first-hand experience joined the group. The ultimate aim of the working group was to develop a force policy on managing the menopause and supporting advice for line managers. The NEWS steering group decided that the issue of the menopause would be something they would focus on for the coming year and gave extra support to the development of the working group. The prognosis was not encouraging. Notts Police, along with Leicestershire and Northamptonshire Police were, and still are, working towards a Tri-Force Collaboration. Given this, the Menopause Working Group was advised that the adoption of a new policy was thought unlikely. 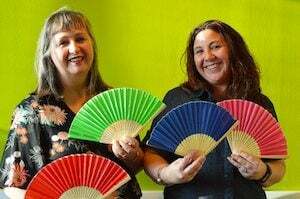 Undeterred, the group decided that just to raise awareness of the menopause and get ‘the M Word’ in common parlance in the workplace would be an achievement. They decided to carry out a staff survey, as it was apparent that the nature and extent of the issues which impact on both female and male colleagues was unknown within our organisation. So it was clear that the time had come to make positive moves to address the menopause within our workplace. It was also agreed early on that, if we could put a new policy in place, it would be freely available for all police forces to modify and adopt as they saw fit. Rather than re-invent the wheel, the first task was to see if any other public sector organisations or businesses had a menopause policy in place. Alongside the policy development work, the working group also organised a seminar primarily, but not exclusively, aimed at line managers to raise awareness of the menopause, the symptoms and how they can affect women. The response was so overwhelming the venue had to be changed for a much larger one, with over 180 people expressing an interest and over 130 people attending on the day. This was an encouraging take-up given that we operate in a reactive organisation where no two days are the same. Expert speakers all gave fascinating talks on the day on the effect of menopause on the body and mind, personal experiences, the impact within the working environment and practical tips on how to manage the symptoms. Assistant Chief Constable Stuart Prior (Notts Police) gave the closing address and spoke movingly about what an eye opener it had been for him. Feedback from the event was extremely positive, with many people reporting how enlightening it had been, both personally and professionally. Others who had not been able to attend on the day asked when we were going to run the event again. A very small team continued to work on developing the policy and by December 2016 it was ready for final consultation with our internal stakeholders. The policy and the supporting managers’ guide were published on 1stJanuary 2017. As an organisation we understood that the ‘big M’ is often a taboo subject and at times it may be a difficult dialogue to have with managers and colleagues. We hope that by raising its profile and putting policy and guidance in place we will set the tone for the organisation to work towards addressing the needs of our changing workforce. “I had a full hysterectomy when I was 48 and was prescribed HRT immediately so I have never actually experienced menopausal symptoms. However, at 56 years old, my doctor is now weaning me off the HRT so there is still a chance that I may go through ‘’the change’ yet. It is good to know that the subject of the menopause and the possible, somewhat disruptive side effects that plague many women, are being openly discussed and finally being acknowledged in the workplace”. Just start the conversation, taking away the taboo of saying ‘the M word’ is a great start. Understand that the menopause impacts on more than the individual women who are trying to manage their symptoms, it affects families and colleagues, too. Try and get an advocate who is willing to discuss their journey, like Detective Constable Keeley Mansell. Carry out surveys in the organisation to gather a true picture of the current impact. Raise awareness by using leaflets, posters, booklets and through intranets. Set up a small working group to develop the menopause journey in your organisation, with senior buy-in to carry it through. Run menopause events with guest speakers. Provide space for women to have ‘me time’. Encourage a healthy lifestyle, including exercise and healthy eating. Campaign to encourage everyone in your business to sign up to a pledge around the menopause. Provide information and training for managers/supervisors to learn about the menopause. Look at possible menopause issues within staff appraisals and one-to-ones. Review how absence is recorded to menopause-related sickness. Remember to review and learn, as this is a developing area for workplace menopause policy and practice. Work still continues in Notts Police to get everyone talking about menopause. Thank you to Detective Constable Keeley Mansell and Project Manager Sue Jackson from Nottinghamshire Police for sharing this case study with us.